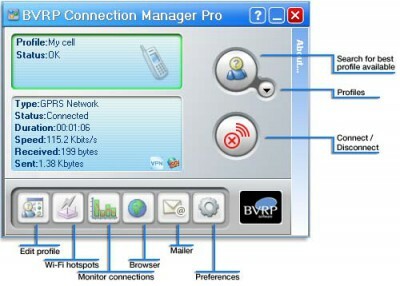 BVRP Connection Manager Pro 1.0 free download. Internet connectivity with a laptop or cell phone has never been easier than it is with Connection Manager Pro. Never walk to the fax machine or waste costly paper again! Sending a fax is now as simple as sending an email. EMCO Network Inventory is a useful and powerful utility for hardware and software inventory and audits on networks. NetworkViewGet is a useful tool with the help of which you can get a full graphical map of your network! NetworkView is a compact network discovery and management tool for the Win32 platform : in a few minutes, it will discover all TCP/IP nodes and draw a full graphical map (including routes) using DNS, MAC addresses, SNMP WMI, NetBIOS and TCP Ports information. With AppSpy managers can easily track the usage of particular files and applications on a Novell Netware File Server within their company. DirSpy allows you to see all those using network files within a specific directory.